Here at Read & Errington we are experienced in servicing gas appliances. According to the HSE, every year about 30 people die from carbon monoxide (CO) poisoning caused by gas appliances and flues that have not been properly installed or maintained, whilst many others also suffer ill health. When gas does not burn properly, as with other fuels such as coal, wood or oil, excess CO is produced which is poisonous. You can’t see it, taste it or smell it but CO can kill without warning in just a matter of hours. 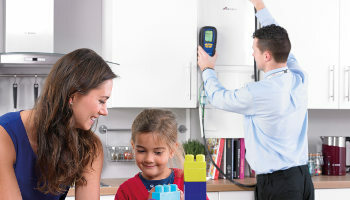 To keep your Boiler and Gas Appliances working safely and efficiently it is vital that you have them serviced yearly. Here at Read & Errington we are experienced in servicing gas appliances. We provide a team of highly trained gas service engineers who service and maintain gas central heating and other gas appliances on an annual service package for our clients. Gas pressure check to ensure the boiler is operating at the correct gas pressure. Inspect your boiler and controls to make sure they are operating safely. Checks to ensure your appliance is working efficiently. All our Gas Appliance Services are performed by fully qualified Gas Safe Engineers. You will receive a Gas Safety Certificate which enables any manufacturer warranty to continue if applicable.